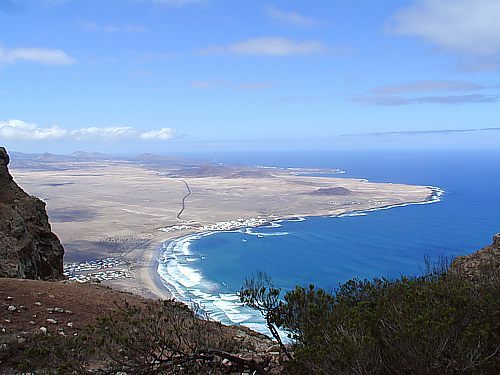 Famara enjoys possibly one of the longest stretches of beach on the island of Lanzarote, curving round under the cliffs, which stand like sentinels protecting it from the rest of the island. The strong currents mean that it is not advisable to swim in the sea at Famara — most people you find in the water are experienced surfers — these currents also explain the unusual phenomena that the beach is sandy in summer and rocky in the winter. The strong winds also mean that it is not the most pleasant place to sit and sunbathe for most of the year; although it is a mecca for lovers of the extreme sport of kitesurfing, whose participants make a fantastic site skimming across the water, pulled by their large, brightly coloured kites. 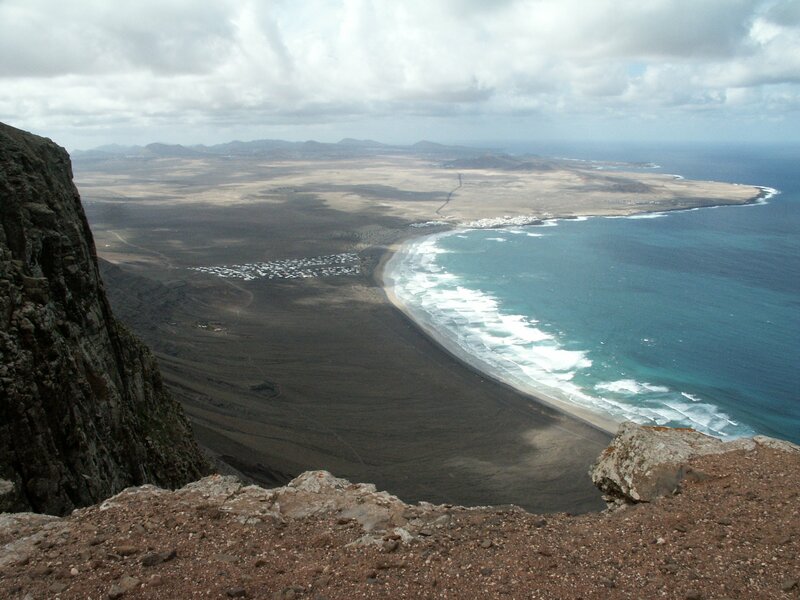 I spent two week at La Caleta de Famara. The first week I joined a surf camp with wavesisters, took surfing lessons and attended Yoga classes. The secon week I surfed by myself. Great location and consistent waves!